September | 2011 | Time.Captured. 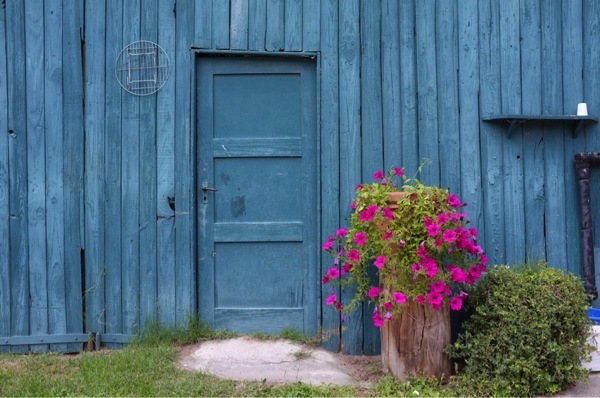 The photo below is certainly interesting because of the gorgeous colors of the wooden shed and the flowers in front of it. We have cyan, magenta and green in the same image. The door, the flower pot and the grill hanging from the wall form a diagonal – not bad for an interesting composition. Nevertheless, I think the image doesn’t quite take off. Something is wrong, something is missing, and something is too much.